Guys! 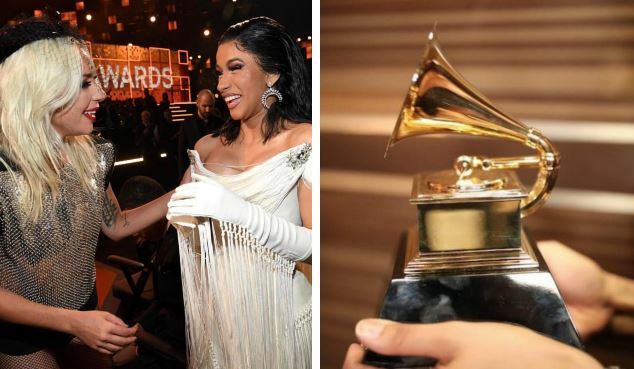 It is official….Cardi B and Offset are officially back as they both walked up the stage to accept Cardi B’s Grammys award. 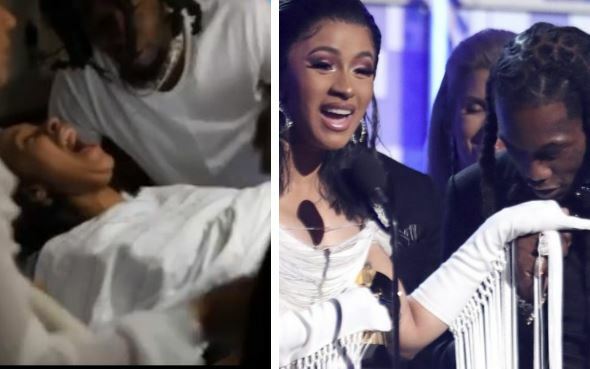 Cardi B who won Best Rap Album of the year, beating other rappers including the late Mac Miller to clenched the award came up on stage with her husband Offset and was pretty excited about it. At some point during her acceptance speech, she called him her husband. The couple didn’t just show up on stage to collect her award but long before then caused a lot of steer on the red carpet when the reportedly kissed. 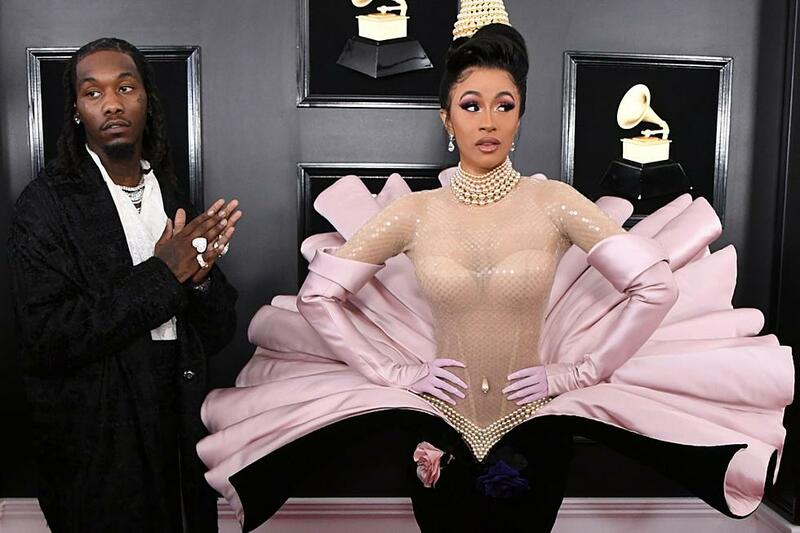 Cardi B wore one of the most talked about outfits of the night, she slayed it. A few weeks ago, MaxFM revealed that Cardi B and Offset had gotten back together as a couple after going their separate ways.